The benefits of omega-3 essential fatty acids helping to reduce the risk of heart disease has been well documented for a number of years. They have been linked with lower risk for coronary heart disease mortality and sudden cardiac death. There are three main types of omega-3 fats – ALA, EPA and DHA. EPA and DHA omega-3 fats are typically found in marine sources like fish oil and krill oil, and are the best absorbed types of omega-3's (read our article on krill oil v's fish oil for absorption comparisons), while ALA omega-3 EFA's are found in plant-based foods like algae, soybeans and walnuts (1). Low density lipoprotein (LDL) and high density lipoprotein (HDL) are two types of cholesterol that are found in the blood stream. If the level of LDL cholesterol goes above 130 mg per deciliter (100 – 129mg/dl is optimal), it starts to amass along the walls and arteries surrounding the heart, which is obviously bad for the cardiovascular system because blood flow will be severely restricted. HDL is the good cholesterol as it aids in removing the plaque that is deposited by LDL cholesterol and eliminating it from the body. The HDL levels should not be allowed to go below 50mg/dl in females and 40mg/dl in males. In some human trials it has been shown that the omega-3 types EPA (eicosapentaenoic acid) and DHA (docosahexaenoic acid), goes a long way to reducing LDL, while increasing HDL. The degree of benefit of these omega-3 fatty acids is so great that the American Heart Association recommends the consumption 1-3 grams of EPA and DHA a day (2). High blood pressure, nicknamed ‘the silent killer' is the most common, (albeit highly preventable disease in most cases) in the Western world. Unless you are part of a families genetics that suffer this terrible disease, it usually attacks people because of poor diet (resulting in obesity) and lifestyle choices like smoking and drinking alcohol. GMO's, trans fats, sugars, salts – basically all the junk that is found in processed foods is also to blame. That, as well as living a ‘sedatory' lifestyle, ie not moving around much or depriving the body of crucial exercise. Hypertension, high blood pressures other name is undetectable (to you). You need a doctors assessment to tell you that you have it, and by then it is usually too late. A prescription is made out, and “here you go, take these beta blockers, diuretics and/or angiotensin inhibitors for the rest of your life” is the normal doctors instruction. The problem with traditional medicines for high blood pressure is that they are accompanied with a long list of side effects, which ironically, could make your health worse in the future. Ok, that is the side effects, now the disease – how to tell if you may have it. There are a few warning signs of high blood pressure, but you should understand that the same symptoms could mean something else entirely. But, it is obviously worth knowing what they are. There are two types of high blood pressure, primary hypertension and secondary hypertension. Primary hypertension is caused by the individuals daily habits. Secondary hypertension is caused by another medical condition, either kidney disease, hormone problems, narrowing of the aorta artery from the heart, pre-eclampsia and even the contraceptive pill in women (3). In 2009, a group of physicians reviewed studies to develop a consensus on how much EPA and DHA was effective for preventing high blood pressure. They reported their findings in the ‘Journal of the American College of Cardiology', in which they recommended 500 mg of the two fatty acids. Traditionally, fish oil was a prime source but now there is a far richer source of omega-3 fats, krill oil derived from the tiny organism known as krill. Krill oil is obtained from a specific type of a krill called Euphausia superba, living in the Antarctic Ocean. These small crustaceans make up a crucial part of the food chain – themselves feeding on plant matter, and them being food for many kinds of fish and seabirds, penguins, whales and seals. They are vital to the survival of almost all species of animals living in the Sub-Antarctic or Antarctic waters and islands found in them. Since they exist in the cleanest oceans, they are free from heavy metals like mercury, PCB's and other toxins, that taint other fish supplying these nutrients. According to one of the the latest and the largest studies on krill oil, 300 participants having high or borderline high levels of triglycerides took part in a randomized, double-blind, multi-center placebo controlled study. The participants in the study were separated into five groups and fed 0.5, 1, 2, or 4 grams doses of krill oil while the fifth group was given a placebo. Fasting Blood lipid measurements were recorded at the beginning of the study, after six weeks and again after 12 weeks. It was found that the krill oil group had a reduction of an average of 10.2% in triglyceride levels compared to the placebo group, indicating that krill oil IS effective for reducing heart risk factor. People with high blood pressure are typically put on blood thinning medications or anticoagulant's so their blood can flow more easily through the arteries, but as we already discussed, those treatments come with great risk. But krill oil also prevents the clumping of blood in arteries, by inducing ‘thinner' blood. Important: Taking krill oil with anti-coagulants is not advised and can actually be dangerous. If the blood becomes too thin, the normal clotting process breaks down and if you were to cut or graze the skin, stopping the bleed is problematic, possibly resulting in blood loss. Also, nose bleeds for no apparent reason could happen frequently (epistaxis), and again are hard to stop. Bleeding gums, bad bruising and bloody stools can ensue for no reason. 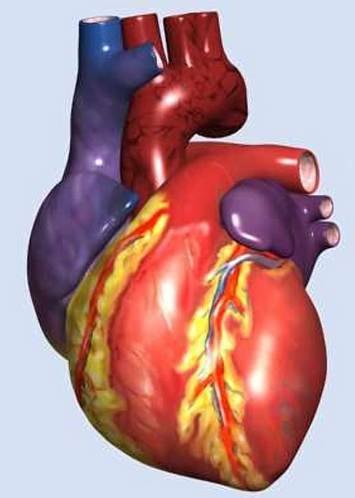 The cardiovascular system is a complex machine that is working 100% of the time. It doesn't matter if you are awake or asleep, your heart is busy pumping gallons of blood around the body, feeding every organ, tissue and cell with crucial nutrients. Naturally, from these stresses and external free radical attacks, the cardio system is therefore under constant attack and is suffering ‘wear and tear damage'. Omega-3 can help to regulate the heart beat, minimizing the risk of arrhythmias – tachycardia (fast beating) and bradycardia (slow beating). The cause of arrhythmias are numerous, from smoking and consuming too much caffeine or stronger stimulants, to an overactive thyroid. But the scariest thing to know here is that a treatment for high blood pressure, beta-blockers, can also trigger arrhythmias. Doesn't make sense, does it? 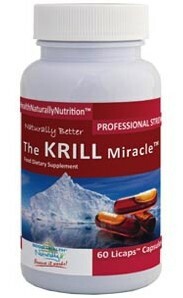 Should Fish Oil Users Switch to Krill Oil? Yes. People who have been taking fish oil supplements to get their fatty acids, might find it worthwhile switching to switch to krill oil because of the additional nutrients it supplies. First of all krill oil contains the powerful antioxidant, astaxanthin, which protects on a cellular level, the harmful side effects of free radicals floating around us in the atmosphere. 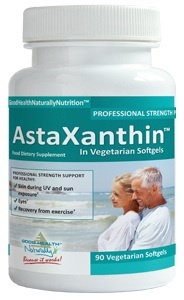 This naturally occurring astaxanthin has no side effects, unless taken with prescription blood thinners. And you can obtain recommended dosages of astaxanthin, in your krill oil capsules. It is also a known fact that fish contains pollutants like mercury, PCB's and metals, rendering them unfit for human consumption (FDA warning), although this is unlikely with oil, it is still worth noting. Also, farm-grown fish from which many omega-3 supplements are produced, may not have all the nutrients as healthy, fresh sea dwelling fish. Krill oil on the other hand is harvested from the cleanest oceans of the world and since krill are almost at the bottom of the food chain they are free from these poisonous substances. One of the first things you notice when they start to take fish oil is the fish burps and the foul aftertaste. You don't get these after effects with krill oil, in fact there are no side effects of krill oil, unless you're already on blood thinners (as we discussed earlier). But krill oil has other benefits too. The omega-3 fats it contains are more suited to the human body than fish oil, flaxseed oil or microalgae oil, and it accompanying the omega-3's are something called phospholipids, which is similar to the structure of the fat cells in the body. Phospholipids are present in all tissue of our bodies. They are a type of fat that shield cellular make up from dispersing in the blood. Without phospholipids, cells are more than likely to die. Andy is a wellness and nutrition enthusiast focusing on how naturally occurring products like krill oil, can play a major role in the support and healing process of the body. Previously, Andy was involved in engineering and security, but now makes his home researching and writing about all things natural. You can catch up with Andy on Google+ and you can also have our Krill Oil Daily newspaper delivered direct to your inbox. Please note that this site should be used for references purposes only. Whilst every effort has been made to ensure the accuracy of the information contained on it, this website should not be taken as medical advice. We are health enthusiasts, not medical professionals, as such you should contact your own doctor before following anything on this site.